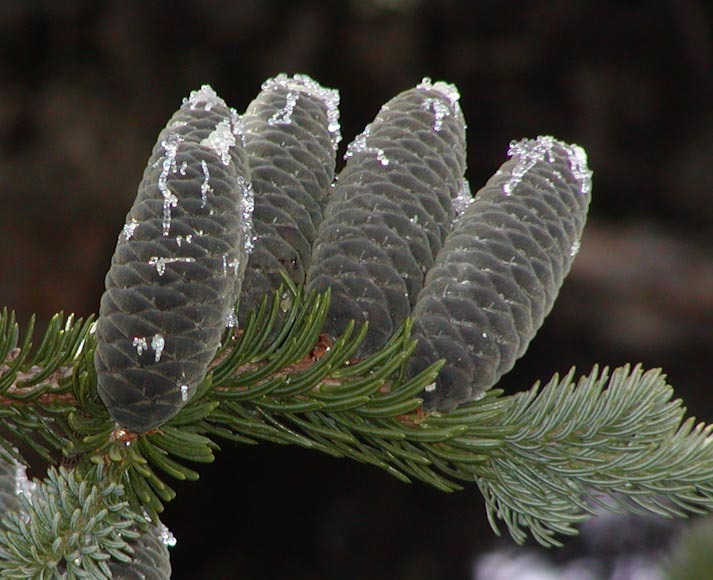 Perhaps among the most distinguishing features of this fir tree is the upright presentation of dark purplish cones early in the season. The cones exude sticky sap that drips down. 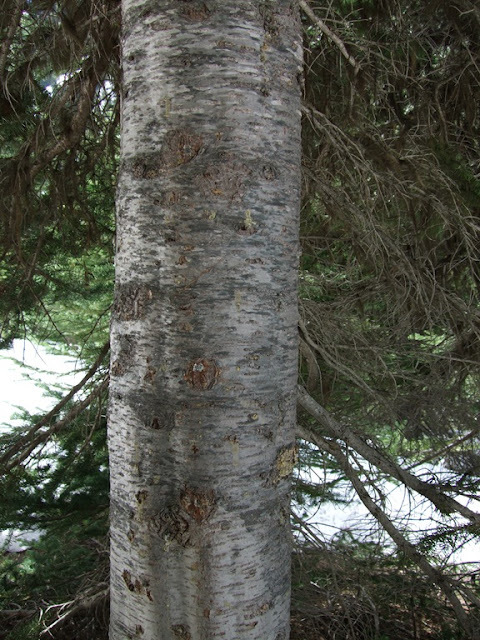 The bark of mature trunks of the tree is smooth gray, punctuated with elongated lenticels and minor branch scars, which give it a stippled appearance. 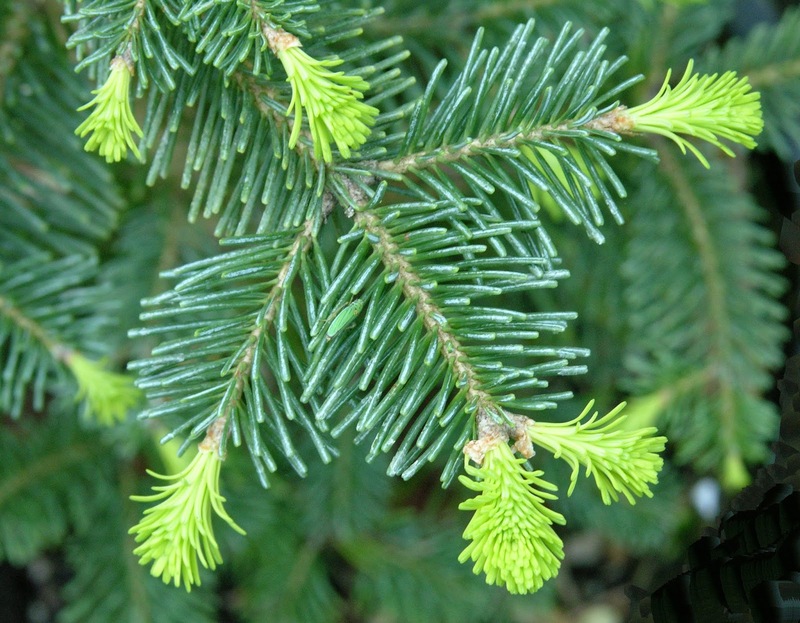 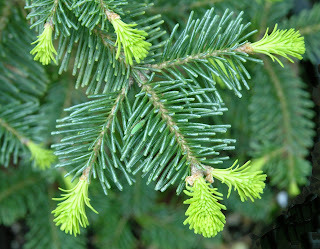 Firneedles adopt a very dark green color overall, with the new growth appearing much lighter in color. 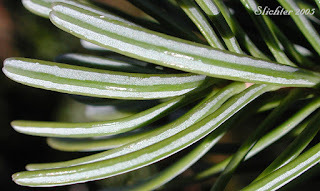 On close examination, in can be seen the needle is pyramidal in cross section, and that the needle surface is densely packed with white lenticels on either side of the needle midrib, with the upper surface less dense and the lower white stripe being wider. 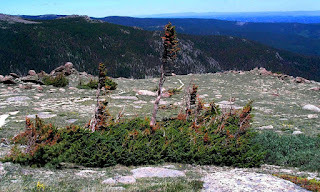 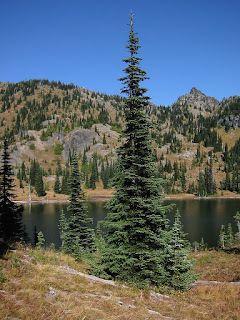 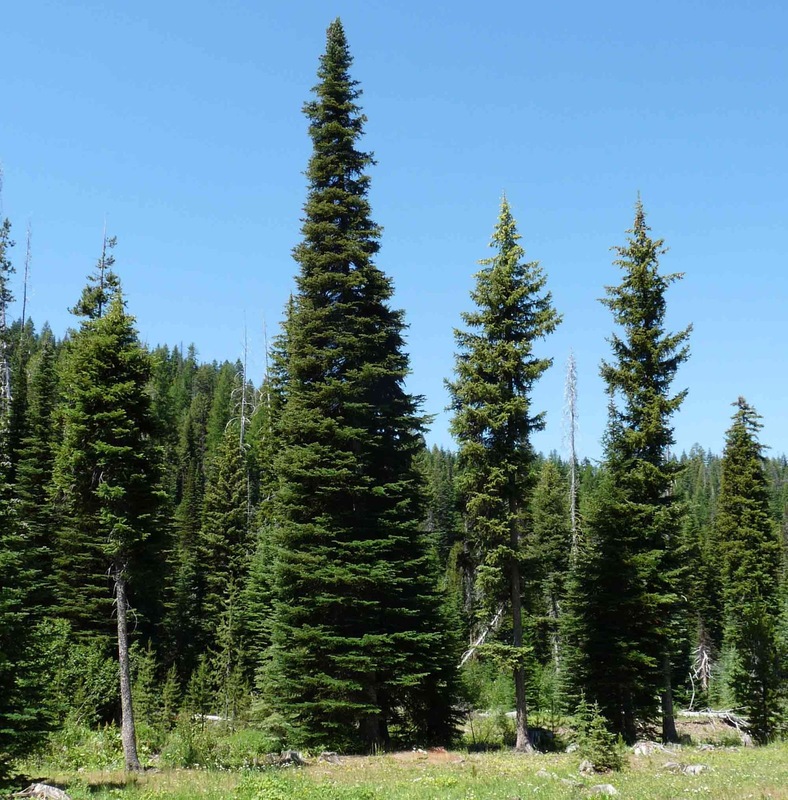 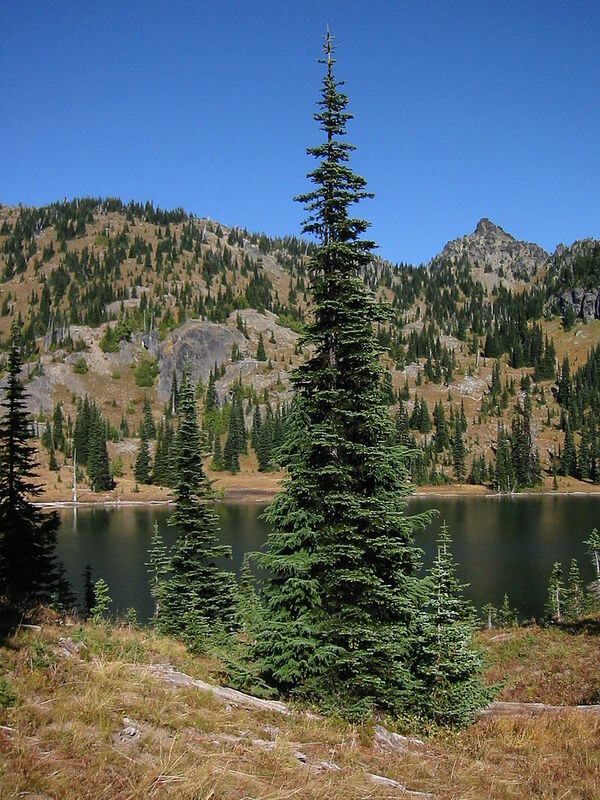 Interesting to note that the Sub Alpine Fir at the highest elevations adapts a "Krumholtz" growth habit, the trees presenting stunted and twisted shapes with little height, sometimes even reduced to mat-like prostrate and ground hugging growths that bear scant resemblance to trees at lower elevation.